crafting in my kitchen: Shabby chic me thinks???? I want the sun back please!!!! I made the flower from I think, papermania flowers and stamens I brought back from States along with the grass bits at back. I attached these to a huge single chiffon bow then added some gems to bottom and top of card. Hiya hun, just popping in for a quick cuppa.....would have brought cake but I'm on a diet lol! 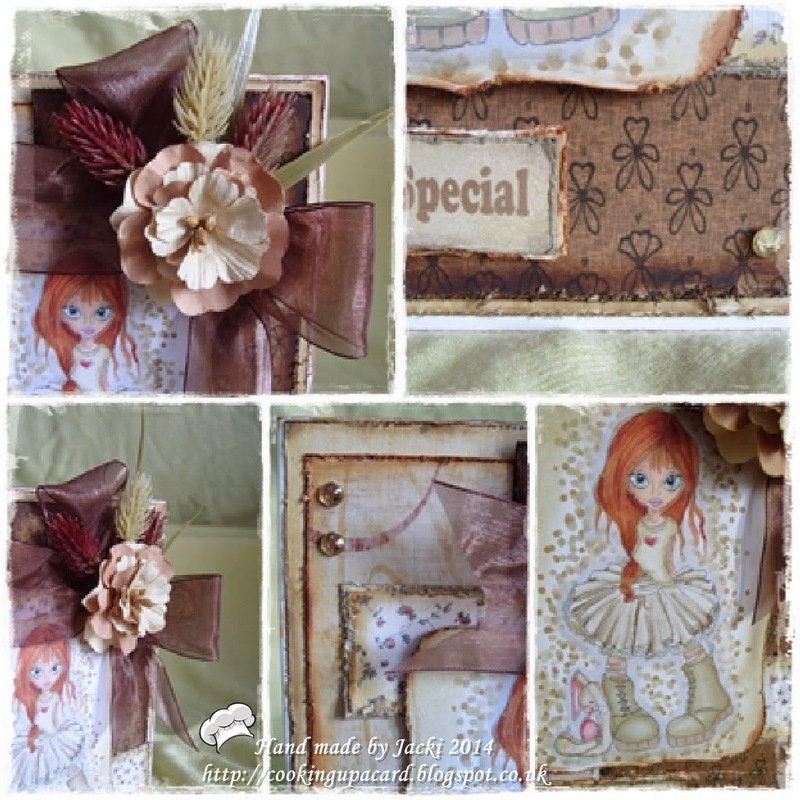 Love your card, very shabby & very pretty....the colours you chose are just beautiful! Fab bow & flower too....love it! Hope you're well, loving this cooler weather here! Gorgeous card! Thanks for sharing with us at Penny's Paper-Crafty Challenge. just adorable. Thanks for joining us at Southern Girls Challenge.